Based on the synopsis, this movie seems silly and a farce but the seriousness of the topic made this movie engaging and thought provoking. 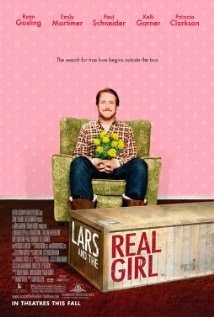 Lars anti-social and delusional and develops and unconventional relationship with a life size doll. Rather than treat him as an outcast and isolate him, the community rallies around his love for the doll and incorporates her into the community. Seriously, she has a busier social calendar than I do. I admit that I was interested in this movie mainly due to Ryan Gosling. During the filming of this movie, he learned to knit from some of the elderly ladies in the cast. How adorable is that? Aside from that, I was pleasantly surprised at how much this movie resounded with me. Sometimes a story is better than it's cover and title. 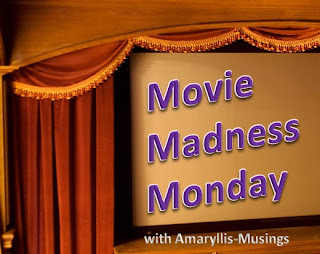 I hope you check this movie out.